Annmarie Skin Care > Ingredient Watch List > Ingredient Watch List: Sodium Borate (Borax)—Is It Safe? Borax, scientifically known as sodium borate, has been used for decades as a laundry detergent and insecticide, but lately some people have wondered about its safety. 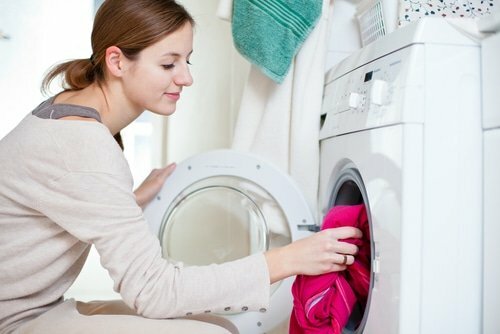 It's often recommended as a safer alternative to over-the-counter laundry products, because it's not stuffed with unknown fragrance and other chemicals. But now some are debating that idea. An article last year by Rebecca Sutton, Ph.D. and senior scientist for the Environmental Working Group (EWG), stated that Borax is not a green cleaning ingredient, and that the EWG does not recommend using it to clean your home. You may like to use borax when doing laundry—is it safe? Borax is a white, powdery, naturally occurring mineral that is also called sodium borate, sodium tetraborate, and dosodium tetraborate. It has been used in cleaning recipes to help boost stain-fighting and grease-cutting power. Many use it to make their own cleaning products, and it's also found in personal care products like diaper creams, some hand soaps, and some tooth bleaching formulas. Though generally considered safe, there are some concerns with Borax. The first is that it is an irritant, and can hurt your skin and eyes. This is especially true with young children, who may transfer it from their hands to their mouths if they find it nearby, so you want to keep it out of reach. Some of the other concerns, however, are a little difficult to root out, because many of the studies that show the ingredient to be toxic aren't looking at borax—they're looking at boric acid, which is slightly different. According to Sutton, men working in boric acid-producing factories have a greater risk of decreased sperm count and libido. But they were exposed to high amounts of boric acid—not small amounts of borax. The Environmental Protection Agency states that boric acid and borate salts have low toxicity by the oral and dermal (skin) route. Higher doses, however, have been linked with seizures and convulsions, and infants have been accidentally poisoned by boric acid or borax. Neither has a connection to cancer, however. There was also some evidence in EPA tests that borax and boric acid can cross the placenta, affecting fetal skeletal development and birth weight, but again, this was at high doses. The Material Safety Data Sheet (MSDS) on Borax lists it as “slightly” irritating to skin and eyes, and states that chronic exposure can produce eye irritation, cough, and skin rash. There is no evidence that the salt accumulates in the body, however. The MSDS rates it as a health hazard of only 1—the same as baking soda and salt. I think overall, as long as you keep your children and pets away from it, you're okay to use Borax in the home. Of course you need to rinse it off well if you use it for cleaning, and make sure your clothes are well rinsed before putting them on children. If you have cuts or scrapes on your hands, wear gloves or avoid using borax until you heal. The EWG recommends omitting borax from your homemade cleaning products. You can use baking soda instead, or vinegar and lemon juice. You can check out their “green cleaning tips,” here. Have you changed how you use borax? 1.3 How might I be exposed to arsenic? Since arsenic is found naturally in the environment, you will be exposed to some arsenic by eating food, drinking water, or breathing air. Children may also be exposed to arsenic by eating soil…. You normally take in small amounts of arsenic in the air you breathe, the water you drink, and the food you eat. Of these, food is usually the largest source of arsenic. The predominant dietary source of arsenic is seafood, followed by rice/rice cereal, mushrooms, and poultry. While seafood contains the greatest amounts of arsenic, for fish and shellfish, this is mostly in an organic form of arsenic called arsenobetaine that is much less harmful. Some seaweeds may contain arsenic in inorganic forms that may be more harmful. Children are likely to eat small amounts of dust or soil each day, so this is another way they may be exposed to arsenic. The total amount of arsenic you take in from these sources is generally about 50 micrograms (1 microgram equals one-millionth of a gram) each day. The level of inorganic arsenic (the form of most concern) you take in from these sources is generally about 3.5 microgram/day. Children may be exposed to small amounts of arsenic from hand-to-mouth activities from playing on play structures or decks constructed out of CCA-treated wood. The potential exposure that children may receive from playing in play structures constructed from CCA-treated wood is generally smaller than that they would receive from food and water. My point is, life is short enough as it is. Why feed yourself even more fear to rob the joy from life. Just live. I agree. It seems like society is breeding paranoia into our psyches. We’re all second-guessing what we even know is safe. We have nothing to fear but fear itself. Fear is the greatest paralyzer known to man. It fogs our minds replaces clarity with doubt and dread. How horrible. I don’t want that kind of fate for myself. I choose to live trusting my instincts, not doubting them or fearing them. In including it in a formula for home-made laundry detergent, the recommended usage would be the equivalent of approximately 1 1/2 teaspoons per wash load: that’s way below the need for any “safety concern”. The EPA and the FDA CANNOT be trusted to give us correct info. They essentially be bought off by BIG CORP! The FDA banned the use of Borax in foods, but said OKEY-DOKEY to ROUNDUP in our food. The reason behind the “possible danger” is the pH of Borax. Children’s skin is super sensitive to high alkaline, and can cause severe blistering or burn. Just use your head, and dilute. You would want you child to get a big mouthful of orange oil either. The high alkaline was the problem with the Mr Clean Magic Erasers. I use borax to wash fruit and as a tooth paste mixed with equal parts baking soda and coconut oil. This combo works as a facial cleanser. Be careful. Of false environmental groups. Just follow the money. Government agencies. Work for chemical corporations. Washing Soda (Sodium Carbonate) is a soapy-feeling substance that is used for cleaning. I believe it is made by heating Sodium Bicarbonate, losing a Carbon atom in the process. This probably explains why people have such success cleaning their ovens with bicarb! I haven’t read up about the toxicity or otherwise of Washing Soda (I’m going to) but I wouldn’t put it in my mouth. Hello. I am a holistic aesthetician and skin care formulator. I am experimenting making my first moisturizer. I’ve been using borax and I find nothing wrong with it thus far. I use a low % and it helps with my emulsifying. I read it acts as a preservative too. But I don’t think it will be strong enough…what do you guys think of borax in a skin care product? Boric acid is good as an emulsifier and it preserves, but it is an acid so over time it could affect the pH of the skin. If you’re wanting to work with the boric acid, I would suggest researching it a bit more and making sure to balance the pH of your final product. I hope that helps! It is very interesting to read more about Borax as many people know that it can be harmful but the question is how harmful and what quantity it should be in order to be harmful? I use Borax a lot for cleaning purposes and I am very careful when using it around my pets and children. I have never had any issues with it and it is amazing as a cleaner! I can’t imagine cleaning without Borax. Honestly, I think that using toxic cleaners is much more dangerous for our health than using Borax! Thanks for the informative and thorough post! It was suggested that I use Borax in my dishwasher, (1/4 cup tossed into the machine before the cycle starts. I’m wondering if this would be harmful to my machine or to my family. Thank you. Sodium Bicarbonate (main ingredient in Arm and Hammer products) is baking soda. It is a salt that is also a pH adjustor, and is alkali. Baking soda can be dangerous if taken in large amounts internally (will neutralize your hydrochloric acid in your stomach, making it difficult to digest your food), and essentially make you ill. Probably the dire warnings are other ingredients listed in the product. Rule of thumb: always remember too much of a good thing is not good. Baking soda is a handy product to have around the house for baking and also cleaning. It dissolves nicely in water, and usually leaves no scratch marks. Takes a bit more water to rinse, but it does clean effectively, essentially leaves no toxic residues like commercial cleaners, and when dumped in your drains and rinsed with vinegar, the reaction helps clean drains without harsh chemicals. Baking soda also gets rid of stains and removes odours Great for brushing teeth…. research the uses of baking soda. You may just stop using commercial chemicals in your home. You can purchase baking soda or sodium bicarbonate in bulk that is natural. The key is to click natural. Some companies sell chemically synthesized baking soda. Former oncologist Dr Simoncini uses it for cancer treatment. He is a world authority on fungus and believes fungii is the exciting underlying cause of cancer.See his site. Use borax USP as thousands of people take 1/8 teaspoon in a liter of purified water and sip it off/ on each day.They said many of their negative symptoms have vanished.Various forms of pain,etc.,have been either greatly reduced or eliminated. There is a triple boron 3 mg. supplement- rather inexpensive too – you can safely take. Watch… get a cut on one hand, get the same cut on your other hand. Put anything you want on one and Borax Powder on the other. Cover both with a Band aid and leave for 3 days. Many comments here endorsing the use of Borax or Sodium Borate as an alternative to commercial detergents. I too endorse natural alternatives to manufactured cleaning solutions. Several studies have linked susceptibility to Multiple Myeloma (cancer of blood and bone in humans) to ingredients contained in manufactured clothing detergents. To improve their cleaning ability, and market share, many of them have included questionable chemicals that do the job…..but at what expense? Can anyone say they’ve studied the multitude of chemical interactions that might cause harm to humans? No! After the diagnosis of my sisters condition, Multiple Myeloma, all of our family was involved in finding the cause and treatment. All MM patients die within months to 8 years of diagnosis. She passed away at 52, 14 months post diagnosis. The only common item we could find was the use of a clothing detergent (T—) that contained chemicals thought to contribute to the susceptibility. Of course, there is the question of genetic susceptibility to certain conditions that cause cancers. Personally, I’ll stay with natural cleansing and limit my exposure. I came here looking into ingredients found within my eye drops…. Yeah, I agree the others. This is just another attempt from big laundry detergent corporations to stop people from making their own detergents. Borax is about $3 and the same amount of the other brands cost between $12 & $18. Plus, where are the stats? Borax has been used for over a century. I bet if I put today’s leading laundry detergents made on my skin it would do more damage. [YEA] 06/26/2014: Michael from Sydney, Australia: “OK, just the facts. I’m taking an almost homoeopathic dilution of borax; 1 rounded teaspoon dissolved in 1 litre of water. Then take 2 to 3 teaspoons per day of this already dilute solution. Much less than I’ve seen recommended here but it works a treat for me. On the first day I noticed nothing at all, including no ill effects. On the second day a thick coating appeared on my tongue, clearly this was yeast being chased out of my system. I also noticed that my skin was much softer. I’m male so I wasn’t looking for this but it certainly feels healthier, so yay! In the evening I felt very tired and had to sleep; I have had insomnia forever so this was surprising. On the third day the many discoloured patches on my skin disappeared – not faded; gone! I’ve had these patches for about 20 years and I’ve known they were fungus for all that time and now they are completely gone. Also my hair feels softer and thicker. Sometime during all of this I noticed that the osteoarthritis in my knees was diminished to such a degree that the pain of walking was almost gone. It is now the 4th day since I started taking borax and the gains continue unabated. My tongue has cleared up and I’m even losing weight. Lots of weight. In 4 days. Can this be happening? The sceptic in me wants to reserve opinion but the results so far are so breathtaking that I had to post this. The main point I wanted to make was the extremely dilute solution I’m using, and yet it still works. So, if you are have trouble getting your head around ingesting borax, perhaps you could try this method too. By my reckoning you’ll be taking roughly 1/200th of a teaspoon of borax per teaspoon of liquid and you can barely taste it. Hope this helps. I’m with Angela. It’s just another way to scare people. It’s a mineral from the earth. Bounce dryer sheets are used to repel rodents and insects. What does that tell you? Melissa, I feel the need to point out to you that there are numerous toxic substances that come from the earth. How about lead poisoning? Arsenic is also natural. Tobacco is a natural plant…as is marijuana. Even essential oils or herbs/plants used for medicinal purposes are not safe in every application. Okay, moving on. You also said Bounce dryer sheets are used to repel rodents and insects, implying they are toxic and harmful. While I do think Bounce dryer sheets are toxic and harmful, it’s worth noting that peppermint is also used to repel rodents. Yet, peppermint can be safe to consume and use on your skin. Oh whats the problem, big corp don’t want us making our own laundry soap now? This is disgusting, what liars, people aren’t snorting borax. it is in all kinds of products, even eye wash, guess it isnt that dangerous. My father has false teeth. The ‘Holdtite’ powder made in Italy that helps keep the plate in place is made of ‘Acacia, Karaya and Sodium Borate’ The latter is borax.